This blog was hard for me to write. It is very personal to my heart but I feel the direction in which hoof boots are taking natural hoof care is nothing short of revolutionary. 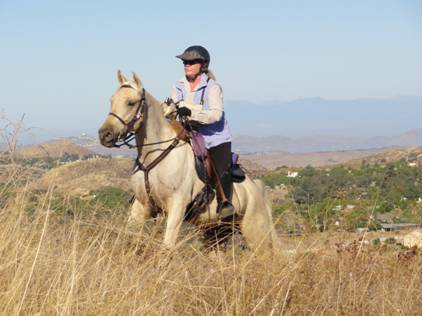 A few weeks ago, I have a friend who, with her beloved horse Yankee, completed their first 75 mile endurance ride. She competed in Glue-Ons all around and vetted out with straight A’s. She and Yankee were on top of the world! Once home, she left the boots on. With a heavy work week and the holidays coming up, it was safe to let the boots be for a while and pull them the following week. 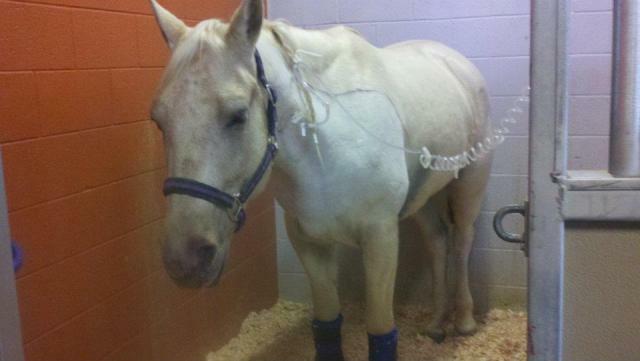 A week after the ride, Yankee was rushed to the local equine hospital. Yankee was in dire straights with a serious intestinal bacterial infection unrelated to the ride. I wont go into details, but the situation was not in favor for Yankee. 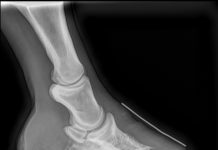 On top of everything else, due to the tremendous amount of toxins and edema in Yankee’s system from the infection, laminitis was a huge possibility and probability. 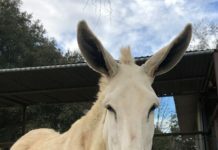 When Yankee was admitted, the vets were curious about the Glue-Ons, how they were applied, and why Yankee was still wearing them. After a thorough explanation in detail regarding the boots, (they weren’t familiar with them, but loved them after a description of what was on his feet, how it was done, and why) the vets all concurred it was better for Yankee’s feet to have the support of the Easyboot Glue-Ons and to leave the boots on. 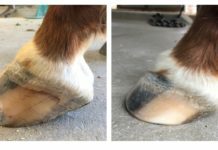 They were hopeful that the added padding from the Goober Glue and the overall boot support, would aid in the prevention of Laminitis and Founder. Whether or not it would actually help is moot. The fact that the vets were on board and supportive of the Easy Boot hoof boots aiding in health issue is huge! Yankee is finally home and on the mend after spending eight days in ICU, and he appears to have avoided that dreaded laminitis! Did the Glue-Ons help in warding off the Founder? I don’t know. I’d like to think that they did. Thank you KF for permission to post this. Previous articleProject Moose: Do These Boots Make My Feet Look Fat? Next articleEasyCare Looking Forward to Even More Growth in 2012!